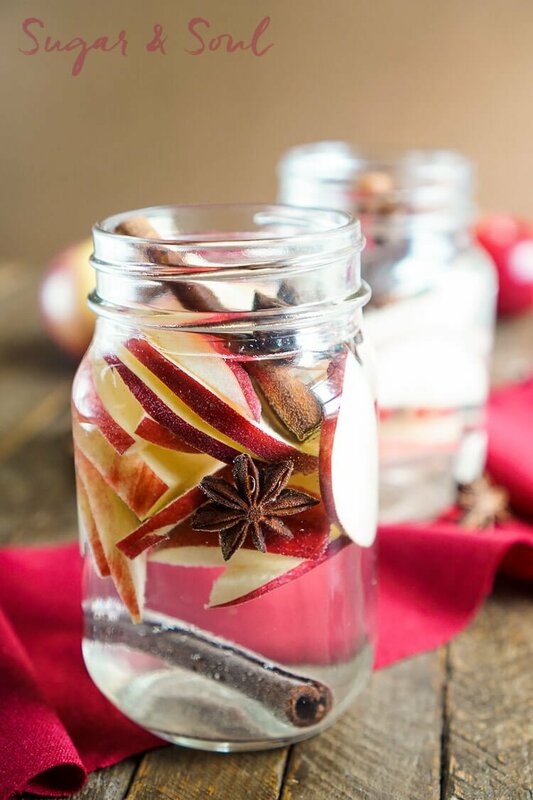 This Apple Spice Detox Water is a simple infusion and a great way to enjoy the flavors of fall without all the sugar! 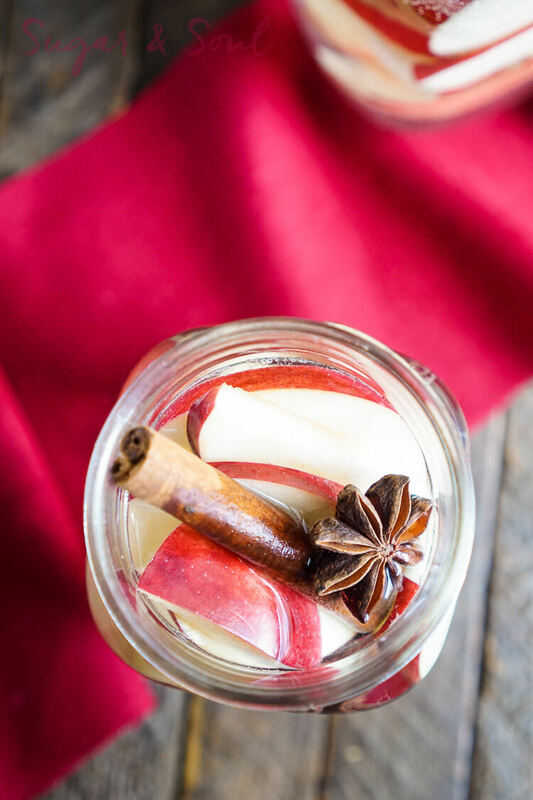 Made with fresh apples, cinnamon, star anise, and water! 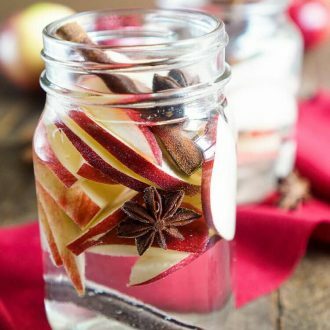 This Apple Spice Detox Water is a great way to enjoy one of the fall’s most delicious flavors without all the calories! I know I’ve been pounding you all with sugary fall treats the last few weeks, but today we’re switching things up and getting a little more real. Did you know that I’m overweight? It’s something that’s constantly in the back of my mind. The way I feel about how I look changes on an hour by hour basis, but that’s not the real reason the 1.6 points over my desired BMI scares me. It scares me because of my heart. Having lost two grandparents to heart conditions and a long line of heart disease in my family, I’m fully aware that one day all these cookies and cheeseburgers are going to catch up with me. Higher weight means higher risks. As I’ve gotten older, I’ve tried to make a conscious effort to reduce and substitute the carbs where I can and eat the things I enjoy in moderation. Towards the end of high school, I began to realize just how much sugar bottled drinks had in them and made a strong attempt to drink more water. However, I missed the flavor and decided to play around with naturally infused waters. 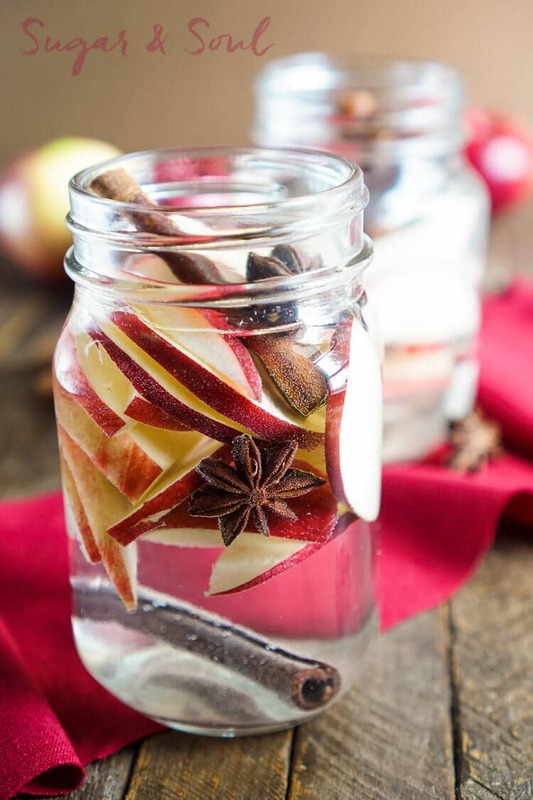 This Apple Spice Detox Water is one of my favorites, along with my mojito water and lemon water. It’s perfect for this time of year with its hints of apple, cinnamon, and star anise and also helps to combat the comfort food we tend to indulge in once fall hits (hello, pumpkin everything). It’s becoming harder and harder to make healthy decisions based on the numbers on a package. With so many conflicting ideas on what’s “healthy”, what are we, the general consumer, supposed to know and believe? I’ve come to the conclusion that it’s best to just take care of ourselves the best we can and make informed decisions about our food consumption. 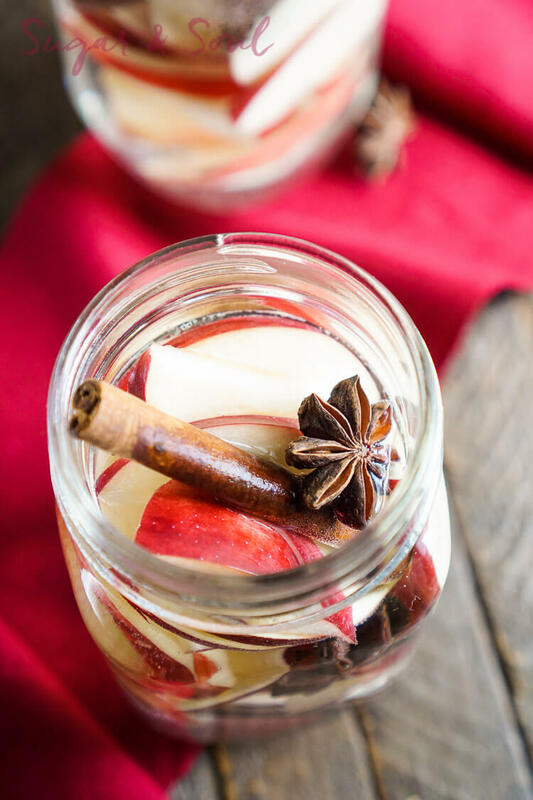 This Apple Spice Detox Water is a simple infusion and a great way to enjoy the flavors of the season without all the sugar! Combine all ingredients in a mason jar and chill overnight or at least for a few hours. Can refill 3-4 times before replacing apples and spices. 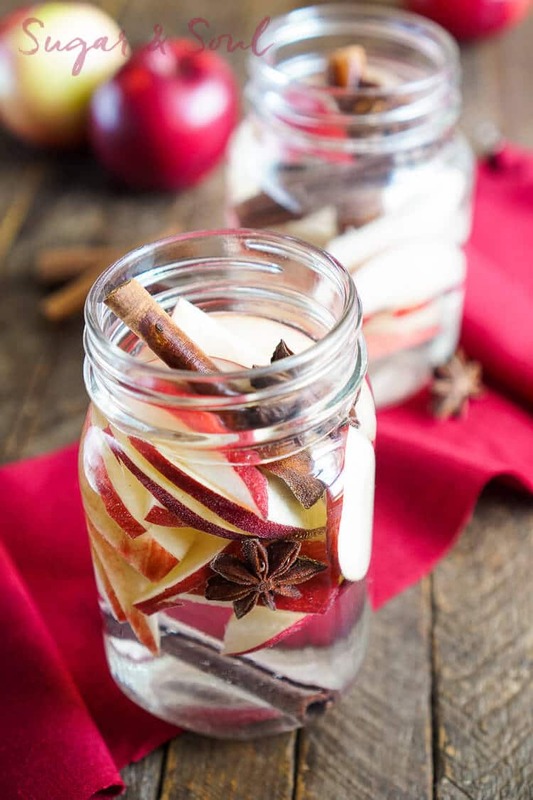 Pin this Apple Detox Water for Later!